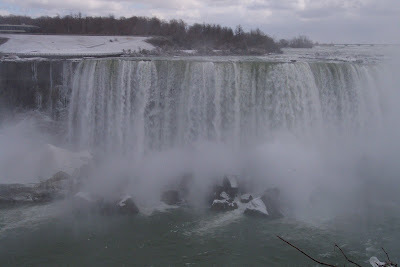 This is Niagara Falls (Canadian side) when I visited two years ago. Life has put a lot of pressure on me. I hope for calm waters soon. spectacular :) i would love to see this one day. well such is life, it has its ups and downs, smooth and rough waters :( but then again, that's what makes it exciting. don't worry you'll be at the other side soon before you even know it. thanks toni, i'm fighting to keep positive thoughts. definitely, Niagara Falls is a must see. i'd like to go back again - one of these days. Toni, Sure, I'd love to be on your blog roll. I added you to mine already. I also visited your other blog, and it's so funny because I also chose the same template from wordpress to start a second blog. awww *hugs* Kayni. That's the correct attitude ... keep channeling positive thoughts. Remember this too shall pass! ..like those rocks, you remain strong.. hang in there, Kayni..
daphne, yes, i am keeping a positive attitude. thank you. angeli, it is good to know that the rocks are still there. thank you. witsandnuts, big hugs back from DC. thank you.